Creativity is central to the world’s best bars but there are also classic cocktails that connect them – age-old recipes recreated time and again, the world over. Sometimes because customers ask for them, but also because these are the drinks that occupy a hallowed place in the hearts of the bartending community. Under the banner of ‘cocktail trends’, there’s always a great deal of speculation surrounding which of these classic cocktails are en vogue. With this poll of the world’s best bars, we aim to find out with a little more certainty which classics top bartenders are making most right now. As with all of our surveys the results presented are a snapshot of global trends rather than an exhaustive study. We asked 108 bars that finished in the top 250 places of the World’s 50 Best Bars results to rank their top 10 best selling classics. Some of these drinks adhere to the original recipe, others will be twisted, but we take the view that if it is sold as a Martini, it is a Martini. Giving each vote an incremental ranking from one to 10, we created the World’s 50 Best Selling Classics list. This 70s drink of scotch and amaretto is supposedly an homage to the film The Godfather. Disaronno even says it was the favoured cocktail of Marlon Brando. We cannot corroborate these claims but we can say 7% of respondents in our poll serve it regularly and it features for the first time in the World’s 50 Best Selling Classics. For a true Ti’ Punch, says David Wondrich, you need cane syrup, the raw juice of the cane boiled down until thick. Otherwise this drink of Martinique and Guadeloupe is a sort of mini Daiquiri/Cairpirinha affair of rum and lime juice. This makes the top 50 classics for the first time and is gaining momentum thanks to agricole brands such as Clement, which now hosts the Ti’ Punch Cup. A Manhattan with a Scottish accent is the Rob Roy. The scotch offers a bit more muscle to proceedings and, in tandem with the Angostura bitters, pulls up its kilt to the sweet vermouth. 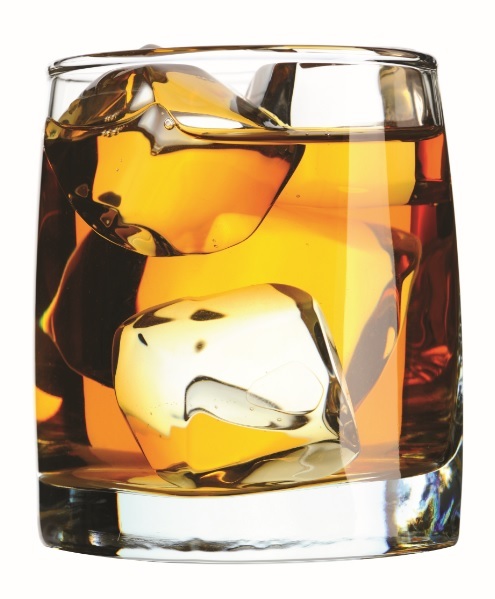 Bartenders often use a scotch with peat, for a bit more fight. But the standard recipe, from the Waldorf in 1894, just asks for blended scotch. This is one of the few scotch drinks on our list and it’s down a few places. The Hanky Panky was invented by Ada Coleman at the Savoy’s American Bar. Coleman tells the story of how she invented the drink for actor Charles Hawtrey, one of the “best cocktail judges” she knew. She said: “He sipped it and, draining the glass, he said, ‘By Jove! That is the real hanky-panky!’ And Hanky Panky it has been called ever since.” Hanky Pankys are still driving posh men to exclamation a hundred years on at The American Bar. Down a few places from last year though, the Hanky Panky is in danger of leaving the list. A modern classic and a first outing in this list is the Old Cuban, invented by New York legend Audrey Saunders in 2004. Something of a cross between a Mojito and a French 75, this drink takes in aged rum, lime juice, mint leaves, angostura bitters and sparkling wine. Now into its second decade of existence, its classicism is in its infancy – likely this will be a feature of this list for many years to come. For when it’s necessary to adulterate champagne, you have the Champagne Cocktail. That’s pretty much never, but bartenders like to put things with things, none more so than at the world’s best bars. To be broadly, though not wholly accurate, the French add cognac and the Americans, led by Jerry Thomas, don’t. Both daub a sugar cube with bitters before pouring over champagne, though Jim Meehan of PDT recommends the sugar cube added second, so the champagne doesn’t get rowdy. Up one place from last year. A 1970s tropical drink from the Aviary bar in Kuala Lumpur, the Jungle Bird is made with rum, Campari, lime and pineapple juice and sugar. It seems to be making a comeback – a rare think for a 70s drink – and features in our World’s 50 Best Selling Classics list for the first time. Two of our 100 polled bars had it as their number one classic, while 9% said it was in the top 10 of their classical repertoire. While The Dude from The Big Lebowski went with powdered creamer, disciples of this drink at the world’s best bars likely go for the real thing – milk or cream. It’s the first time this calorie-laden classic, also with vodka and coffee liqueur, has made this list and, quite amazingly, was a top serve in three bars surveyed. A few other respondents named it among their top 10 classics, but really this is a drink that is out of step with modern cocktail trends. Occasionally though – just occasionally – it hits the spot. Most bartenders agree the story is thoroughbred but the drink is a crossbreed, and not the good sort. That said, this vodka-gin-Lillet Martini pulls a chord for some punters, particularly those who like James Bond, a character from which the cocktail was named. Bangkok bar Vesper makes a Silver Vesper with Tanqueray, Ketel One, ‘Italian aperitif’ and orange bitters. One of the original sweet and sour drinks, the almondy Amaretto Sour is as approachable a cocktail as you are likely to find, even for those with nut allergies (brand leader Disaronno has no nuts – though probably wise to check labels). Bourbon gives the drink a little more power, but in its original form it is two shots of amaretto, lemon juice and egg white, while Angostura bitters is optional.